Just last offseason, as ESPN rebuilt their Monday Night Football booth in the wake of Jon Gruden’s NFL return, there were persistent rumors that Peyton Manning was at the top of the wishlist. Manning reportedly turned it down last year, and we eventually got Jason Witten stumbling all over himself and Booger McFarland on a crane. Now both Witten and the BoogerMobile are gone, and ESPN is once again searching for a lead analyst. It’s a lot of turnover for a flagship property, but if there’s one bit of consistency from last year to this year, it’s ESPN trying to get Peyton Manning. They’re serious enough about it to send ESPN president Jimmy Pitaro and executive Connor Schell to Denver in an effort to pitch Manning on the gig. 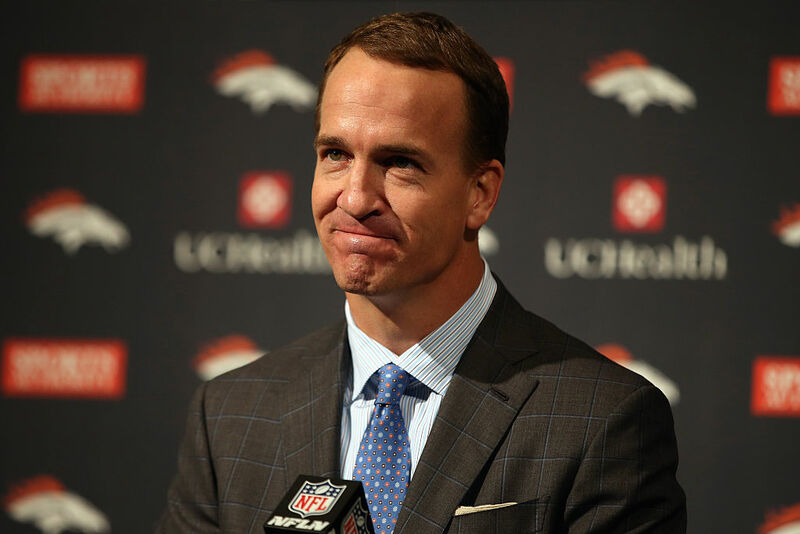 ESPN president Jimmy Pitaro and content chief Connor Schell made a trip to Denver on March 11 to meet with Manning, who has been mentioned before for a broadcast role. But it’s unclear whether Manning is interested in pursuing a career as an analyst at this time. He’s done some player breakdowns for the ESPN+ plus show Detail. The Detail note there is interesting, as Manning does currently have at least some working relationship with ESPN, and his NFL breakdowns in that capacity have been as insightful as you’d expect. That’s obviously a different role than live game analyst, but Manning has made at least one well-received cameo appearance, while visiting with the Sunday Night Football crew during the Broncos season-opener in 2016. In five minutes, Peyton Manning gave me more cogent analysis than 95% of NFL color guys. Manning is clearly comfortable on camera and an innate understanding of the modern NFL game that should lead to at least competent analysis. But more than that, he’s one of the more famous athletes of the last twenty years, the kind of name that could actually draw people to a game, which is pretty rare these days. It’s also the kind of boost ESPN could certainly use given their fairly disastrous campaign last year, and it helps explain why they’re so eager to let Peyton know they’re up. It’s also tough to see Manning agreeing; it’s unlikely he needs the money, and nearly two decades of NFL travel as a player may have soured him on the process. He did take the meeting, though, and until he officially says no, though, he’s going to be at the top of the list.